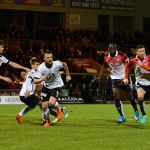 The Rovers support headed west to face a Saints side that trying to get only their second League win in sixteen matches. 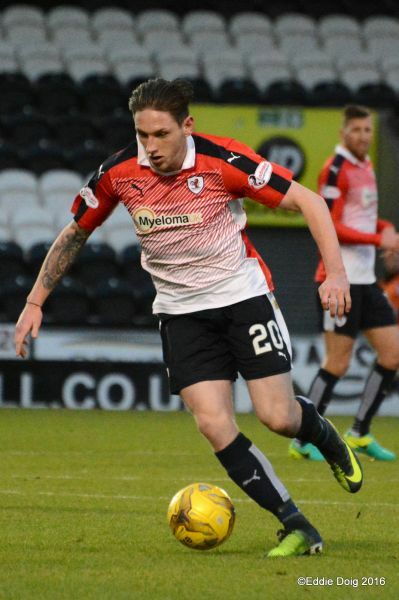 The hosts had ex Raith men John Sutton starting up front and Jamie Langfield and Ryan Hardie on the bench. 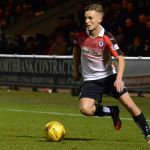 With Benedictus suspended Davidson moved to centre back taking the Captain’s armband, Ross Matthews slotted in at right back while Jordan Thompson and Chris Johnston came into midfield. Bobby Barr made a welcome return to the bench. 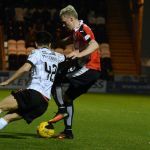 The match kicked off with the pitch damp from an earlier shower and the home side almost capitalised on a slack Raith pass pushing on the left and the delayed cross was thankfully wasted. 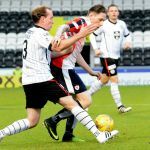 This was not the first foray the hosts made down the Rovers left as the game went on with St Mirren overloading that side. 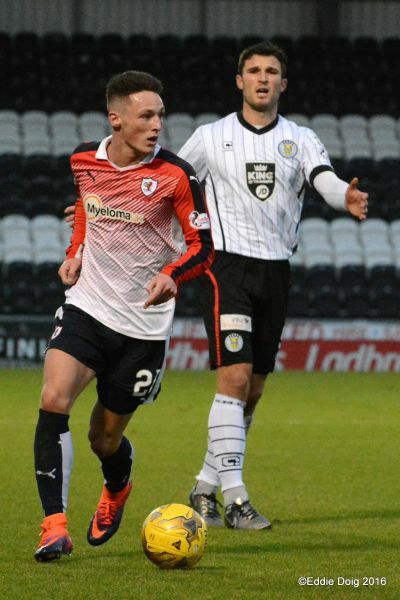 McHattie and Roberts at times struggled to deal with the additional pressure in front of the dug outs. The next home attack was scrambled wide for a corner. In the 6th minute the Rovers scored following good work from the enthusiastic Johnston who’s run and one two with McManus teed up Mark Stewart who was offside. 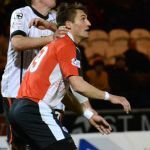 The flag was up before the ball hit the net… Matthews and Stewart combined well to no effect then the big home stopper Ben Gordon received treatment and it looked like Andy Webster would replace him he however stayed on and got away with a desperate lunge on Mark Stewart a few moments later. 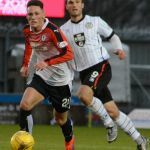 Stewart played in Roberts wide and his low front post ball was put wide by a defender with McManus in close attendance. 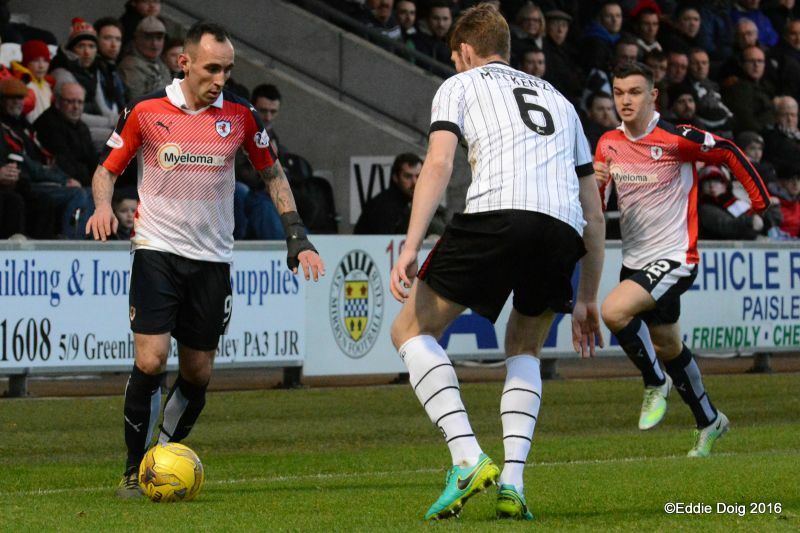 In the 17th minute home man Gordon did leave the park with Webster coming on in his place. As the game approached the mid point of the first half neither side had taken control, Jordan Thompson who had started well showed good control and turned then sent a dipping angled shot over the worried looking home keeper but it was too high. There had been some tasty challenges and the next from Rocco Quinn resulted in a booking as the referee put down a marker. 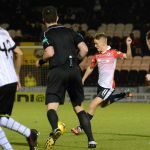 In the 25th minute the Saints created the best chance of the game so far, again pushing down the left a low ball whipped across goal eluding Cuthbert and the defence. 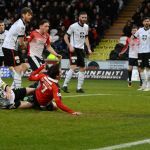 John Sutton slid in at the back post but couldn’t quite reach it to apply what would have been an easy finish as the Rovers support breathed a large sigh of relief. 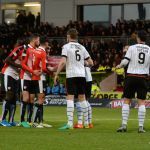 The Saints were pushing on and a low shot at Cuthbert was held by him then the home support booed a free kick fired over. 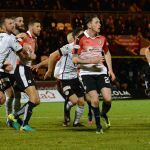 The Rovers managed to get back into the game for a period with McManus getting wide and crossing into a box where it was two versus two but missed everyone. This was followed by a period of good movement and passing from the Rovers that was matched by tenacious massed defending by the home side on their 18 yard line, eventually Thompson shot over. 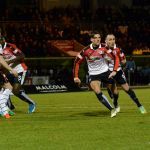 Before the Rovers could build on their momentum there was treatment to Davidson and a home man which broke the flow of the match. 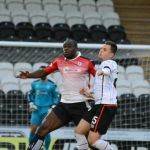 McHattie was booked preventing another attack on the left and Webster heading a decent chance over from the free kick. 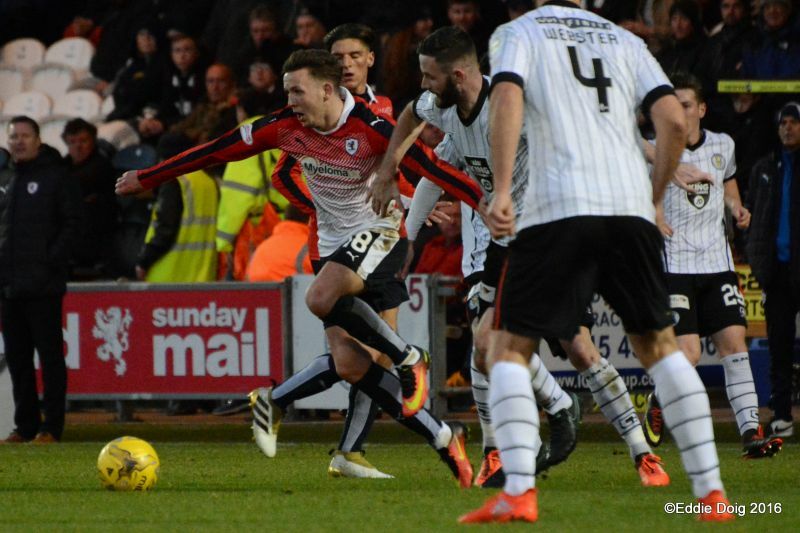 Then shots came in from Shankland and McAllister but both failed to hit the target. 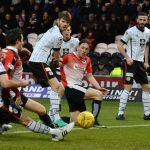 The Saints started the second half with another move down the Rovers left, which was put out for a throw. 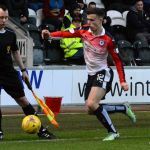 The ball came in and Lewis Morgan used space to set himself before firing an angled drive across goal into the side netting from 20 yards. The goal was celebrated by the home fans and players lifting the basement boys. 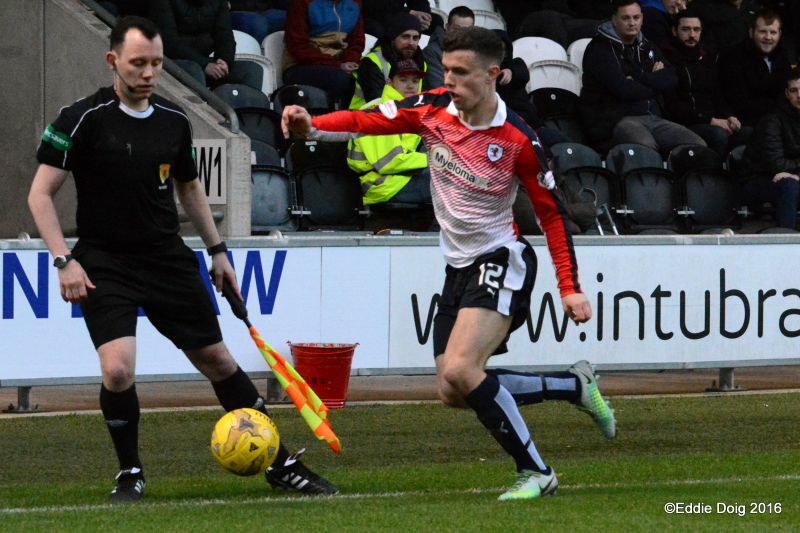 Jordan Thompson made yet another good tackle then Stewart was booked for persistent fouling. 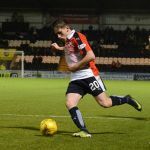 In only the 52nd minute it was clear that Gallagher the home keeper had decided to take as much time as he could when he could off the clock, something he continued. 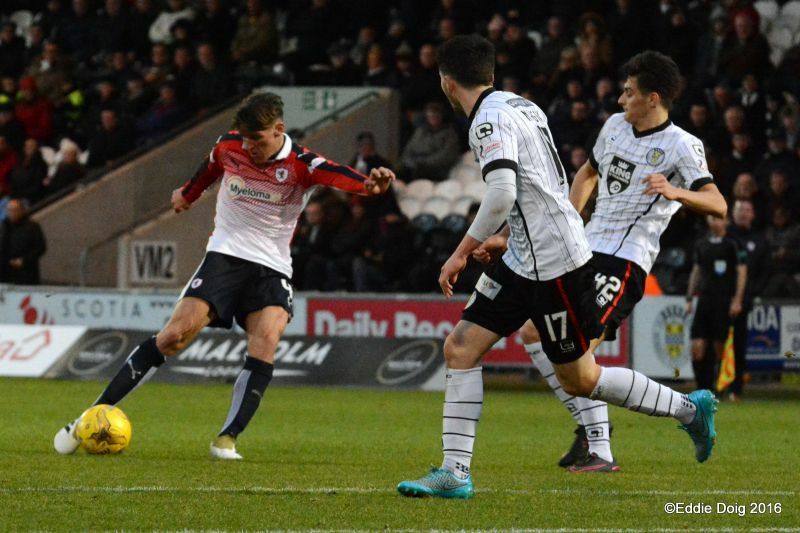 The 55th minute saw the Rovers first good chance when a corner won by good work from Roberts and Johnston was headed wide from six yards by M’Voto… It was a great opportunity. 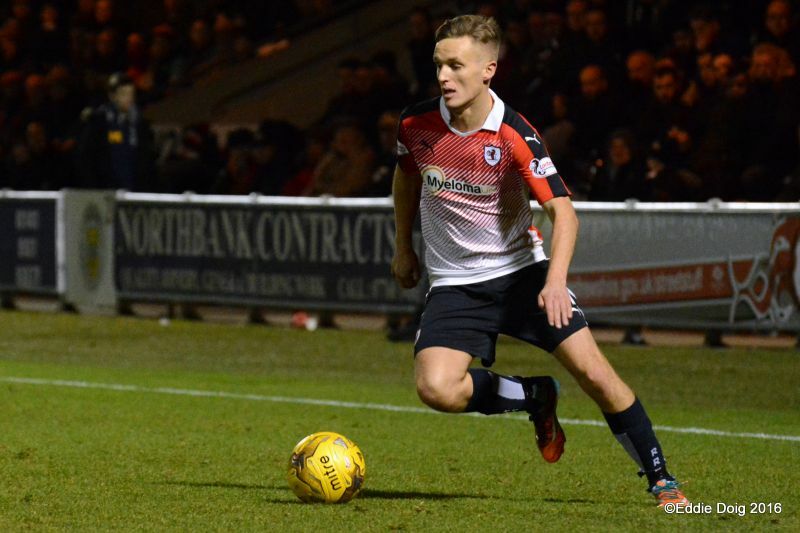 Just before the hour Roberts – who’d had a quiet game – was replaced by Bobby Barr. The Saints were using long throws and following another there was some head tennis in and around the Rovers box as they tried to double their lead. 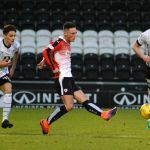 Another goal almost came when Cuthbert did well to claw away a shot at the front post that was heading for the roof of the net, the ball fell invitingly onto the six yard line with no-one there to capitalise. 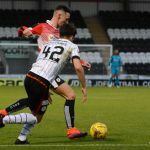 Shankland went down looking for a penalty and was rightly waved back to his feet by the referee then at the other end Barr – who looked spritely throughout – was felled by Quinn about 25 yards out. 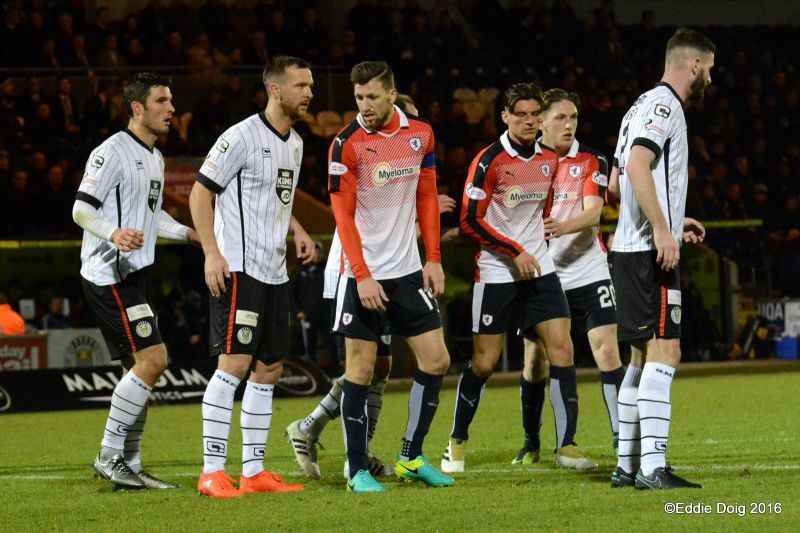 Quinn received no further punishment and McHattie’s free kick went into the wall. In the 65th minute Gallagher made his first save of note diving to collect Thompson’s shot. 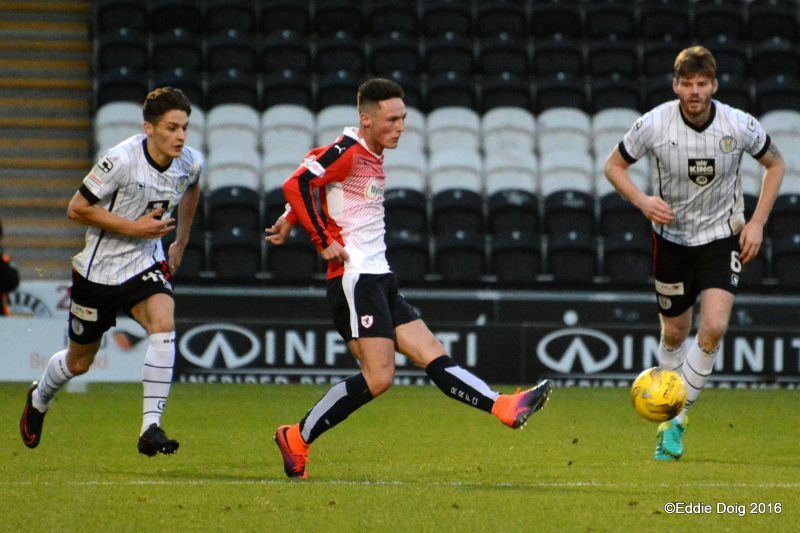 Jordan tested him again having shown good control to skip past a man in the box but the keeper did well smothering the ball at the Rovers mans feet. Quinn was replaced by Mclear. Johnston did well then Barr fired at the keeper stinging his hands but McManus put the rebound wide, then the wee wide man did well again but the keeper collected the ball. Then Barr put the ball in and Callaghan tried to flick it in from behind him but didn’t really connect was well as he might. 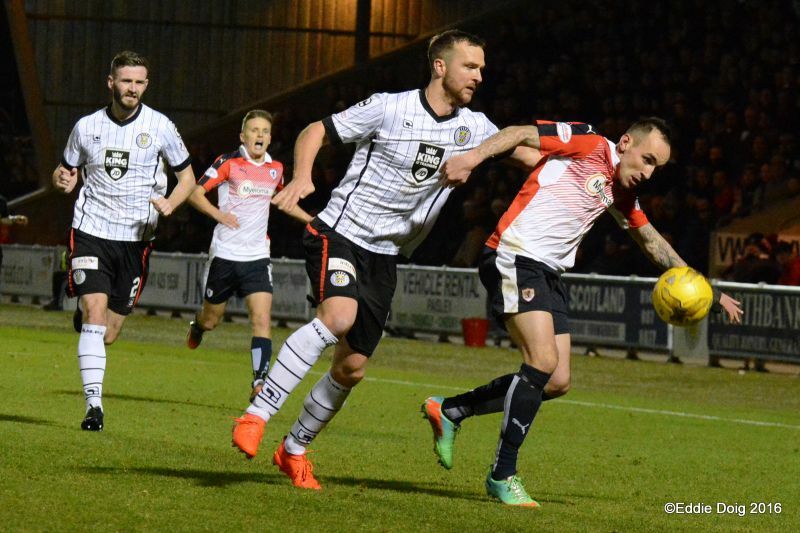 St Mirren were not out of the game however and a deep cross was headed back beating Cuthbert but hitting the bar. 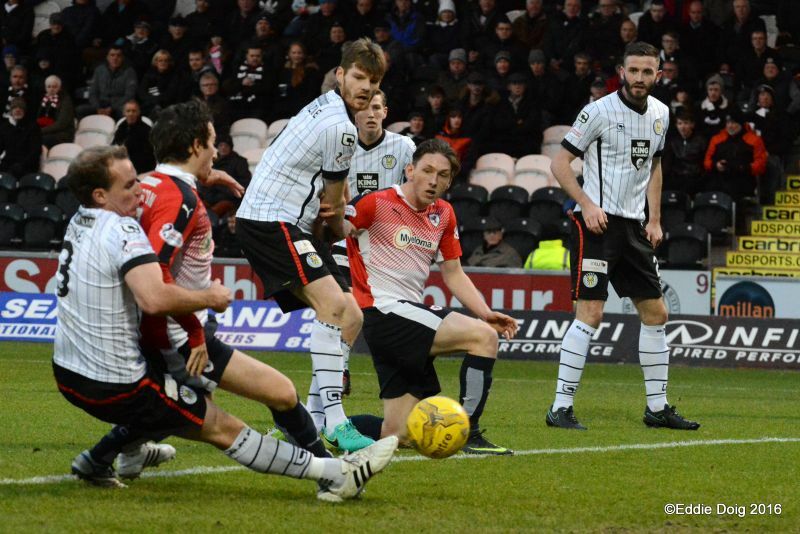 In the 78th minute the Rovers carved St Mirren open for the first time as Barr played in Stewart goal side, he ran on and Gallagher stayed on his feet blocking Mark’s vicious low shot well. 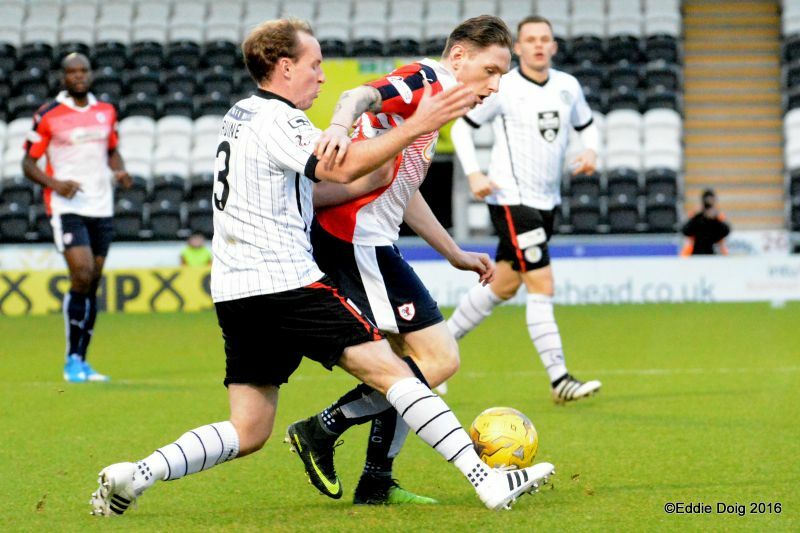 St Mirren haired off up the park and missed a decent chance themselves. 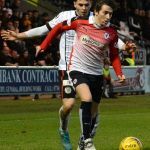 Matthews, who had played well though on the quieter side of the park was replaced by Skacel and Stewart removed for Vaughan. The Rovers went to a three at the back. A deft flick by Vaughan turned the back four but the cross was cleared. 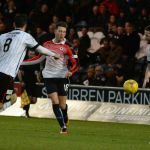 Davidson was booked for a foul a little unfortunately then sub Lewis got into the box well but couldn’t square the ball. 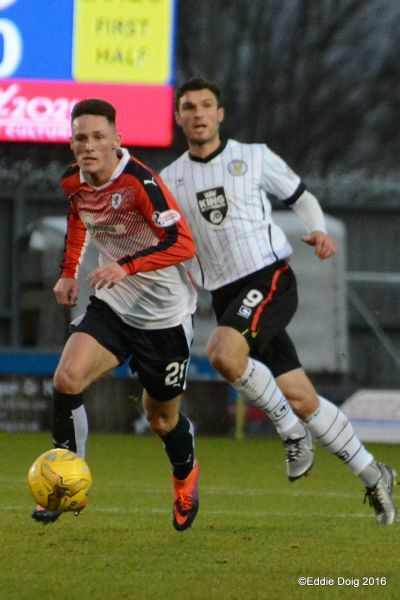 Good work from Barr and McManus saw a hurried clearance from Irvine go over. 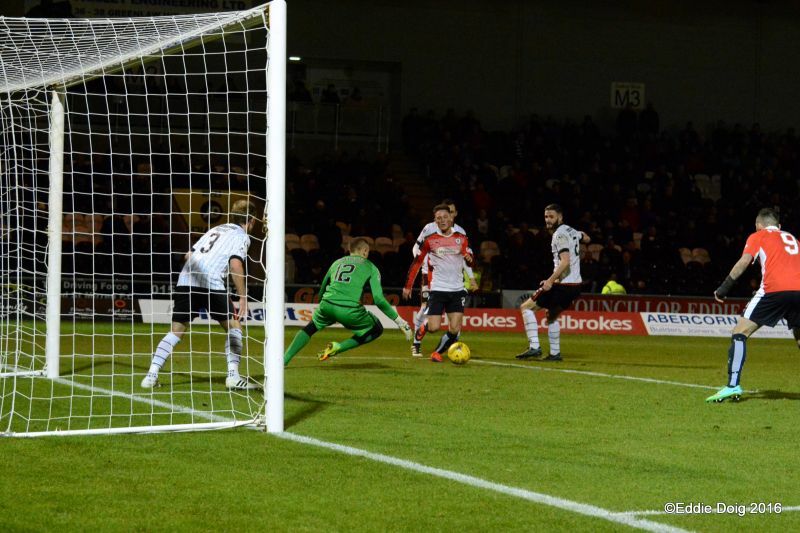 St Mirren broke and Cuthbert did well to collect a dangerous cross. Barr again pushed on and saw his shot half blocked back to the keeper. 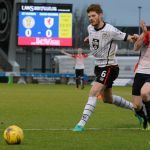 Hardie who’d replaced Sutton forced a save from a corner then the home side did well take a couple of minutes off the clock at our corner flag. 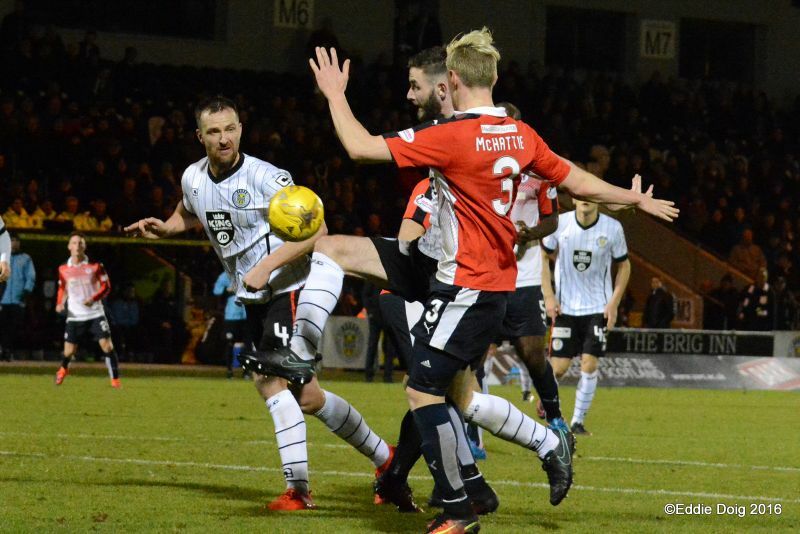 The last moments saw McManus bundled over in the box for what was a pretty clear penalty but the whistler gave nothing and Skacel headed over. At the end the ex-international took his complaints too far and was booked. Welcome to the Paisley 20 / 21 Stadium, it's a breezy 10 degrees and slightly overcast. Ross Matthews starting at RB. 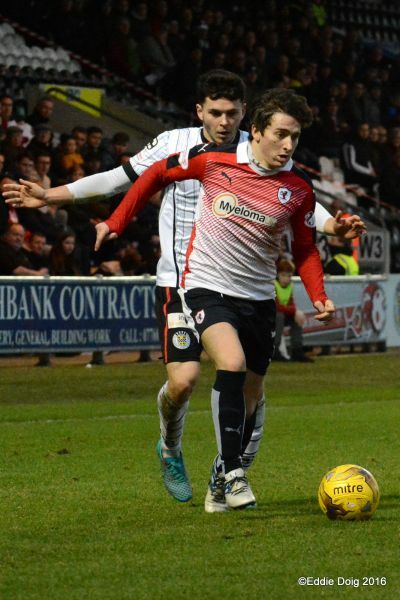 McAllister spurns Saints firs chance, sending his cross way over the bar. Naismith crosses from deep and Gordon's deflected shot goes out for a corner. Johnston has the ball in the net but is flagged offside. Play halts for a knock to a Saints player. Ben Gordon is the player, is able to resume play. Stewart to McManus who shoots wide. Gordon obviously in trouble as he receives treatment on the pitch. McManus fouled in the box, play on says Mr Cook. 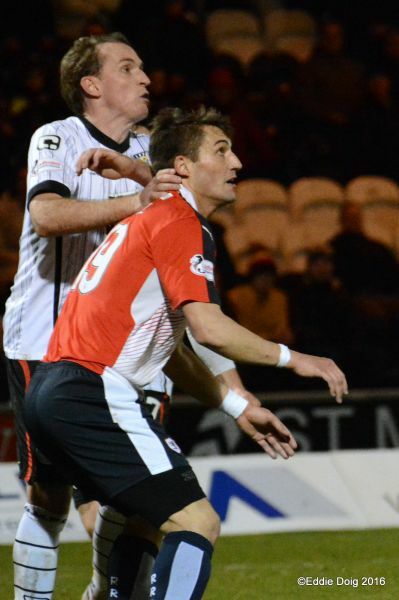 Howls of disapproval from the Saints fans as Thomson beats two players yo clear upfield. Johnston vomes close from 6 yards, his shot going just wide. Injured Gordon off, Webster on. 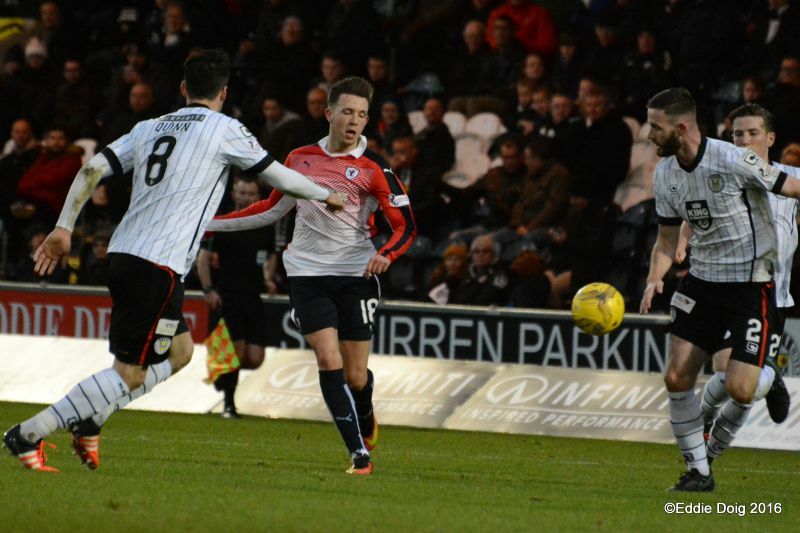 Johnston and Thomson combined well, the latter shoots just over the bar from 20 yards. Rocco Quinn yellow for a foul on Callachan. 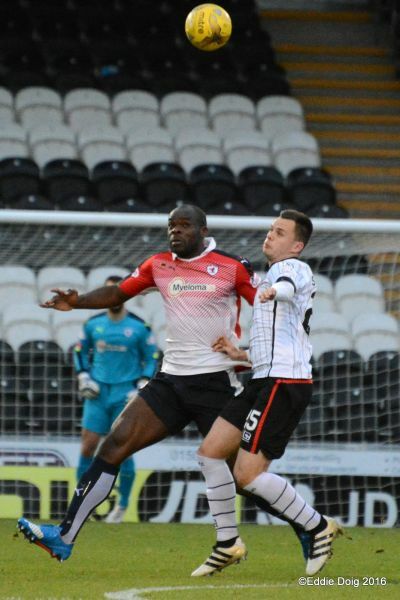 Jean-Yves getting the better of Sutton allowing Cuthbert to gather. 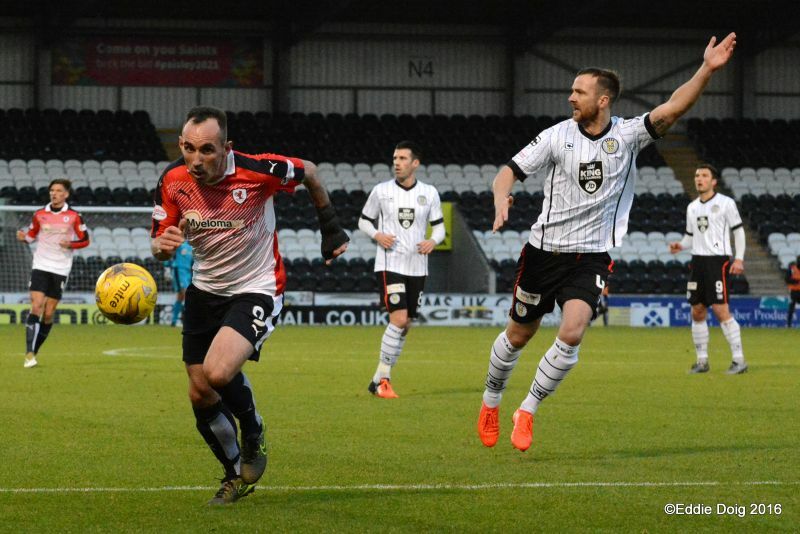 Magennis cuts in from the right, the ball flying in front of goal with no takers. 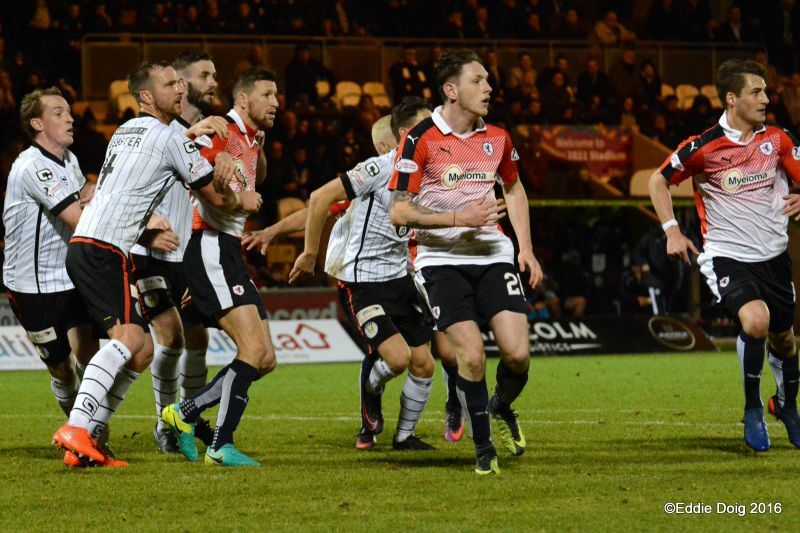 Matthews fouls 24 yards out, McAllister sends the resultant free kick way over the bar. 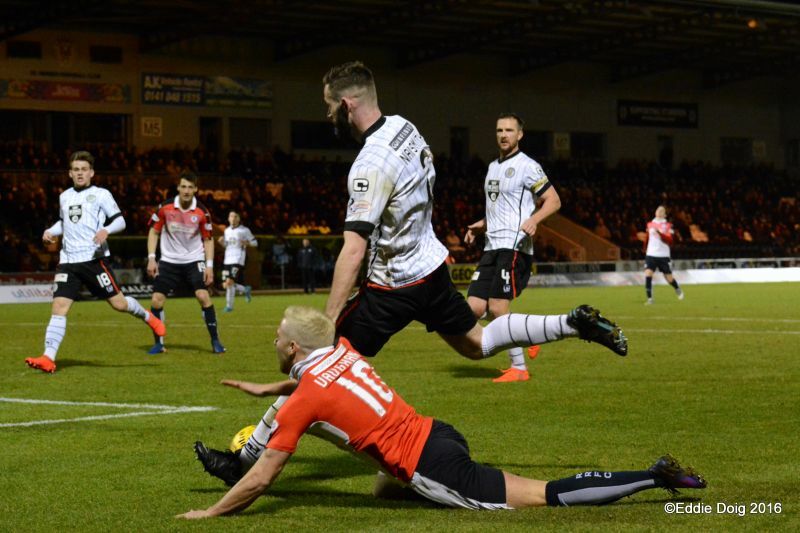 McManus turned Webster at the halfway line, runs to the bye line and crosses but no one was close to tap in. 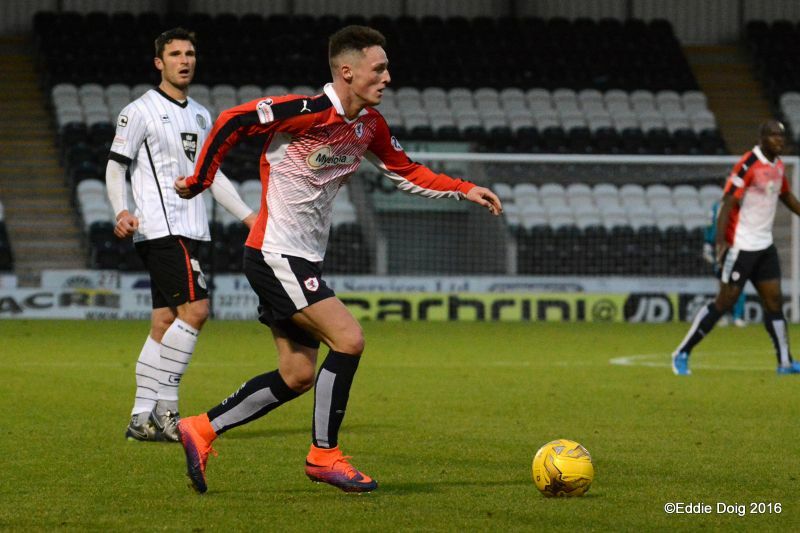 Callachan launches a shot from 25 yards which soars over the bar. Davo lying face down on the pitch, the Pysio is on. Another break in play for an injury to MacKenzie. Naismith heads over from the free kick. 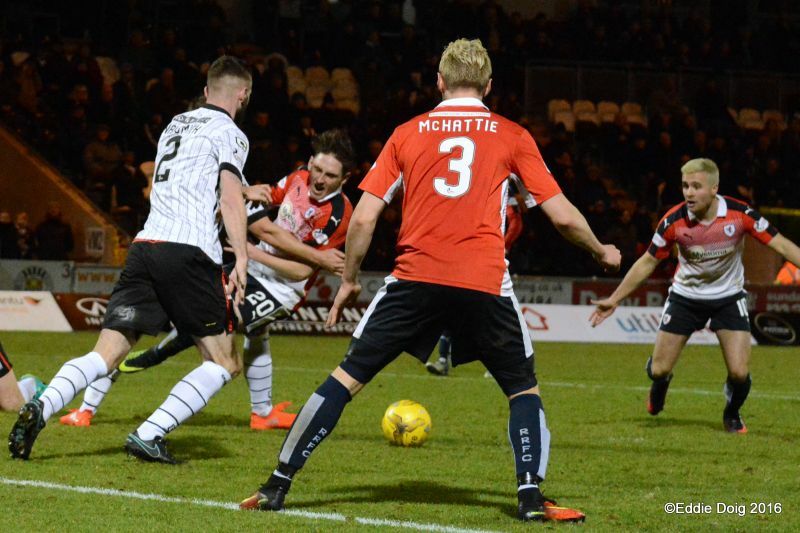 Shankland on a diagonal run wallops the ball high over the bar from 30 yards. +2 McAllister shoots way over the bar from 25 yards. 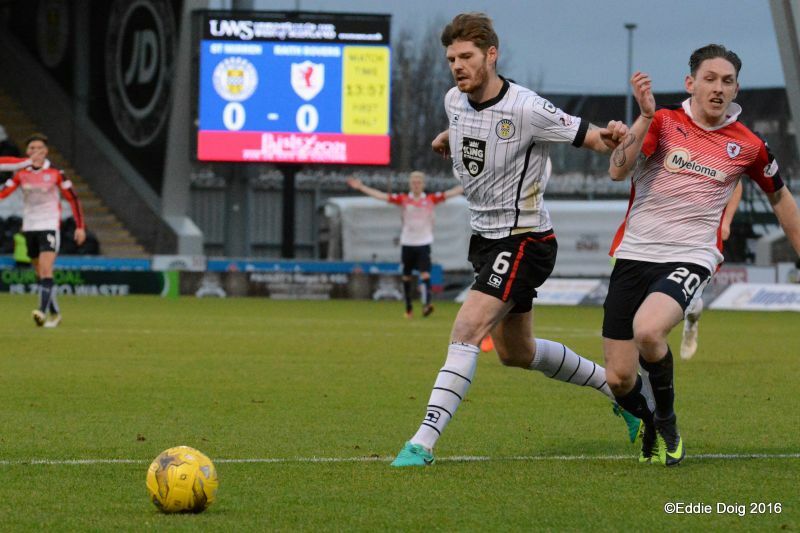 Goal St Mirren, Morgan cut in from the left and hit the yop left corner of goal ftom 15 yards. Stewart yellow for a foul. Thomson recycled the ball from a corner to Jean-Yves who headed just past the back post. Roberts off, Bobby Barr on. 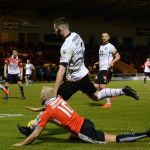 Cuthbert pulling off a fingertip save to deny Quinn who fired the ball in from a tight angle. From a free kick the Rovers win a corner, the ball going out at the back post for a bye. 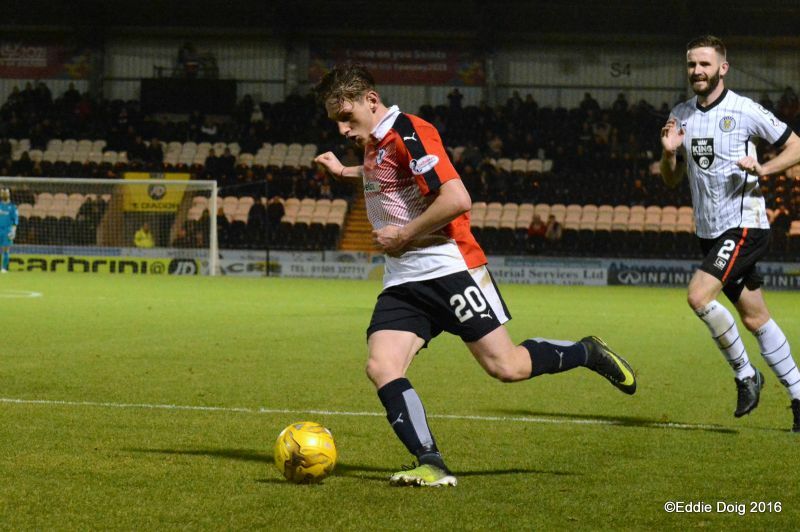 Thomson recycled the ball from a corner and curled the ball towards the opposite corner to be denied by Gallagher. 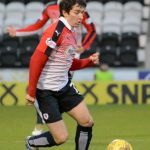 Thomson does a jig to elude two defenders but Gallagher was at hand to prevent a shot. 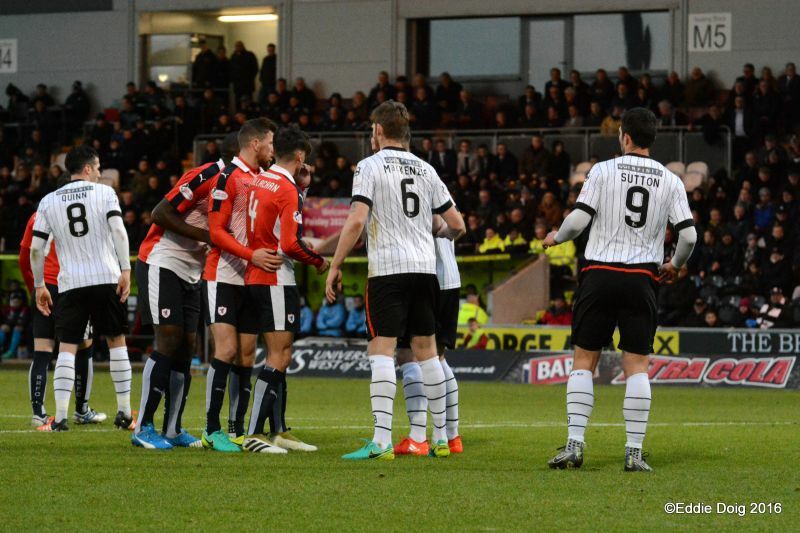 John Sutton heads into the crowd from a free kick. Gallagher with an amazing reaction save from a tight angled shot from Barr. Rovers pushing the two CB's deep. Gallagher saves again, this time from Thomson shooting from the right. Barr doing all the work down the left chips in to the box where Callachan's back heel was met by Gallagher. 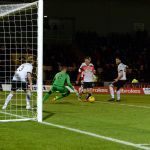 Sutton sees his header glance off the top of the bar. 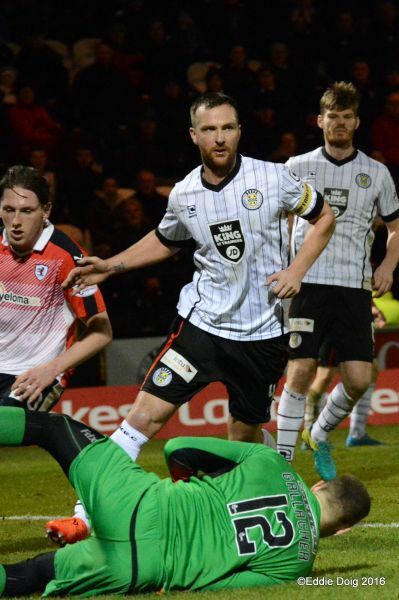 Stewart through on the keeper but Gallagher's outstretched legs blocked the shot. Matthews and Stewart off, Vaughan and Skacel on. Sutton off, Hardie on. 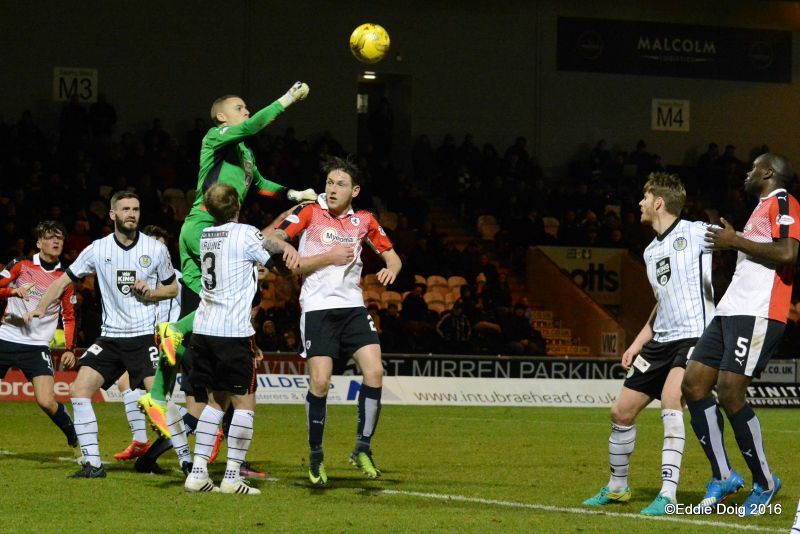 Vaughan and Skacel get in the action, Lewis cross fell to Rudi whose shot was blocked. Rovers playing a back 3 pushing up the park. Thomson tries to chip the keeper from a Skacel cross but the ball lacked pace. Barr shooting from outside the area sees the ball deflected into the arms of Gallagher. Cuthbert with a fingertip save from Hardie. Saints playing the ball into the corner. Gallagher, Naismith, Irvine, MacKenzie, Quinn, Sutton, Shankland, McAllister, Gordon, Morgan, Magennis. Subs, Langfield, Webster, Clarkson, Gallagher, McLear, Hardie, Walsh. Cuthbert, McHattie, Callachan, M'Voto, Johnston, Stewart, Matthews, Davidson, Roberts, McManus, Jordan Thomson. Subs Lennox, Vaughan, B Barr, Osei, Coustrain, Skacel, Crawford. 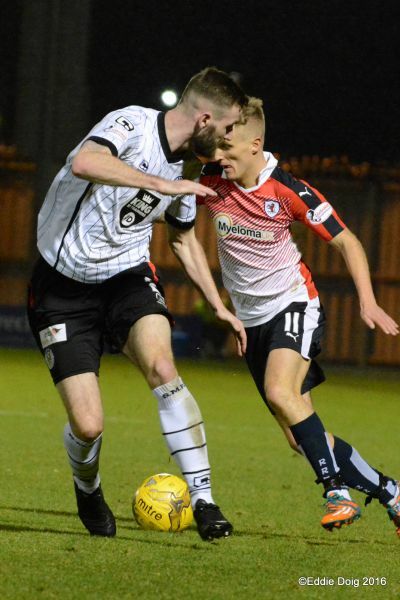 After a break of over two weeks, Raith Rovers are back in action this weekend, against a St. Mirren side who for the first time this season, are going into a game on the back of a league win. 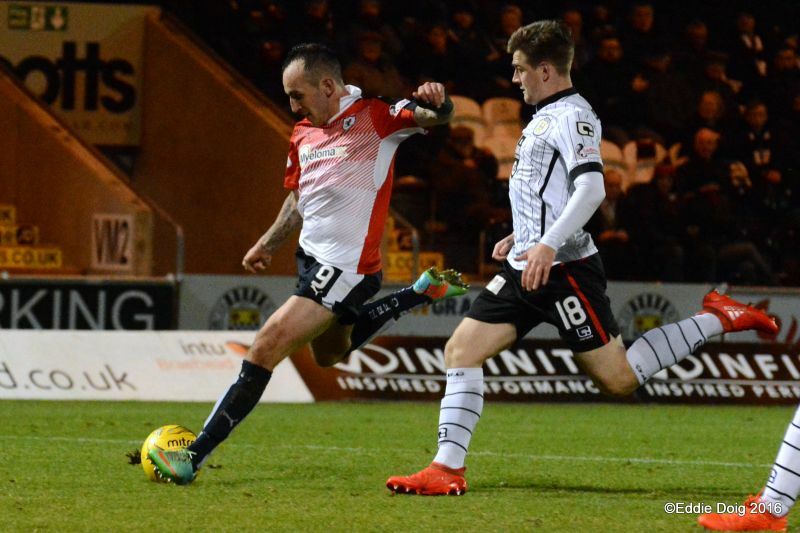 Jack Ross got his first Championship victory as Buddies boss in midweek, when a last gasp Stevie Mallan goal earned them all three points against Queen of the South with a 3-2 win. 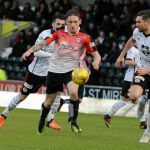 That result saw them move to within six points of ninth-place Dunfermline, as the battle at the bottom of the table intensifies as the festive period approaches. 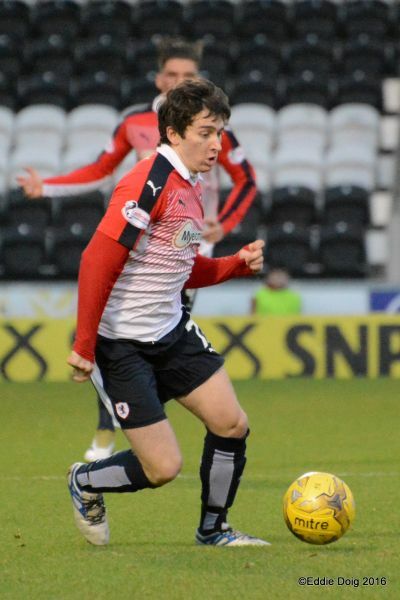 In contrast, Raith Rovers have been inactive since a 1-1 home draw with Ayr United on the 22nd of November. 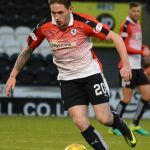 Joel Coustrain opened the scoring for the home side with a fine individual effort, but a late Gary Harkins free-kick deservedly earned the Honest Men a share of the spoils, while extending Raith’s sequence of consecutive draws to three in the process. 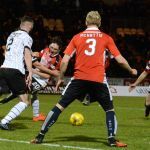 That run, coupled with Falkirk’s win over St. Mirren last weekend, has caused Rovers to slip out of the playoffs on goal difference from fourth placed Morton, and two points behind Falkirk who are third. 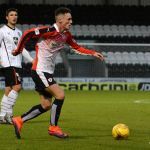 Rovers other meeting against St. Mirren this term was back in August, when two goals from Declan McManus and one from Ross Callachan, earned the Kirkcaldy team a 3-1 win. 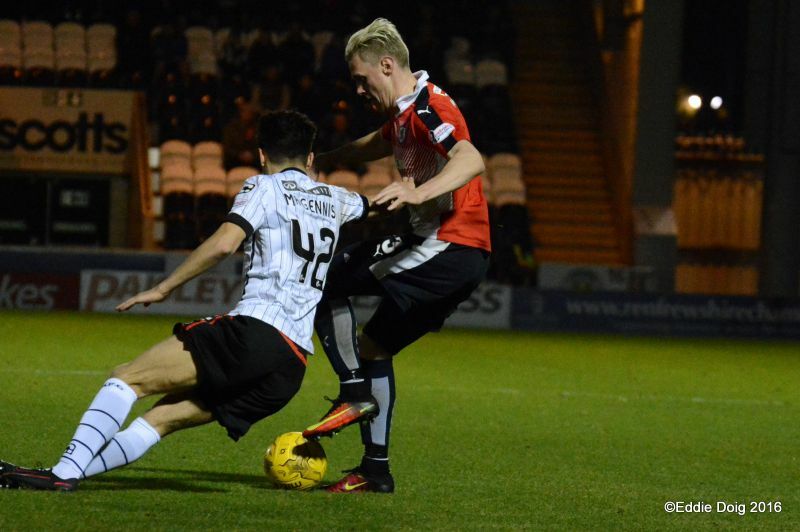 The result put Rovers top of the fledgling Championship table, and continued the club’s fine recent run over the Paisley club. 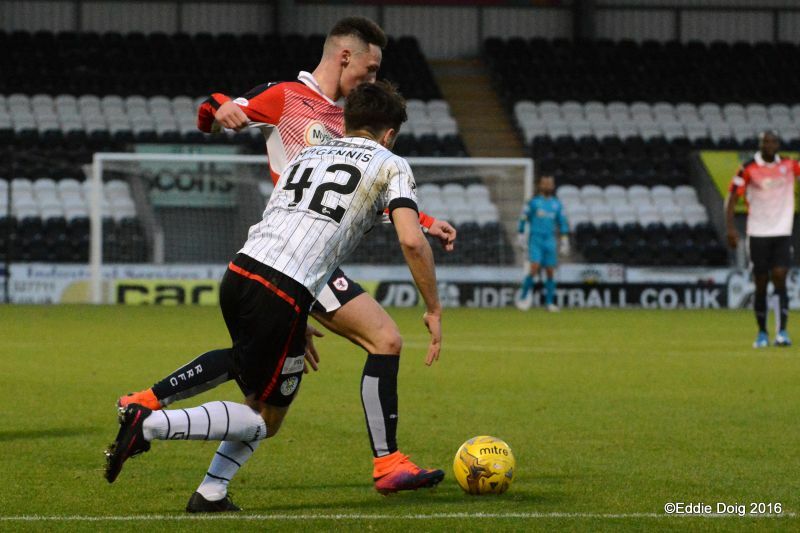 Rovers took 10 points from 12 against St. Mirren last season, the first time they’d went unbeaten against the side since the 1997/98 term, when Rovers won all four encounters. 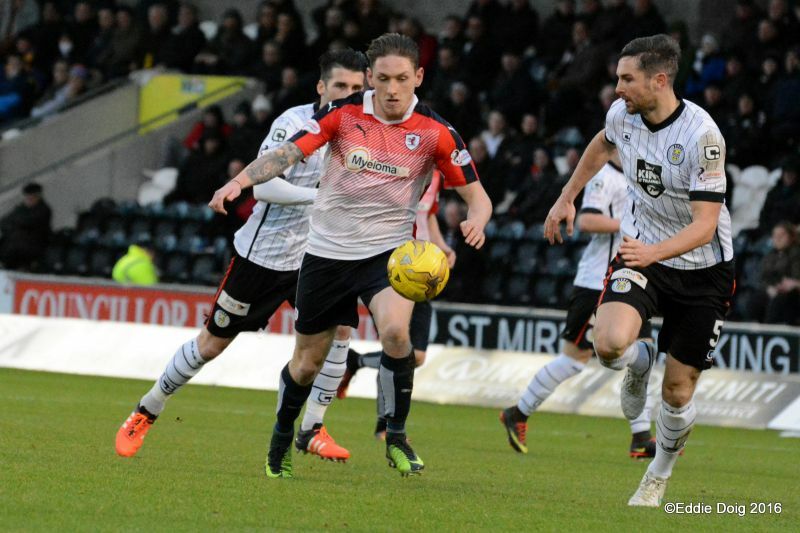 Raith would go on to finish third in the First Division that season, behind Falkirk and champions Dundee, while St. Mirren would finish sixth. 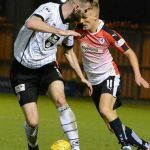 Raith Rovers have the upper hand over the most recent league meetings between the clubs, with five wins and two draws from the last ten fixtures.